When I was a caddy at Franklin Park Golf Course I hated to be carrying the clubs of guys gambling for big money who were cheating like crazy. You just had to keep your mouth shut. There were so many ways to play improperly - side-stepping the rules to improve your position and not get caught. I learned a lot about human nature and personal character in those days. I know true golf sportsman are maniacal about playing by the rules; but I have personally experienced behavior indicating that people can get away with much cheating. But I digress. It was round four about a dozen years ago in a big chess tournament; I was 3 & 0 and fighting for the class B prize and was paired against a first generation US player who's dad was Russian. Once the game began I realized that my opponent's dad and a friend of his dad were transfixed over our board. My opponent, his dad, and the friend took breaks together and smoked outside and spoke Russian together several times during the game. I got the idea that well I'll just have to beat all three of them together to win. I ended up losing the game due to a blunder, but for the first time in my life the idea of my opponent possibly cheating in a game against me popped into my head. Later on when I got to know the observers better, I realized they were not as strong as I was, and would probably only mess up the son if they gave him advice. And in fact, over time, I came to the conclusion they were sportsman and straight shooters. I know of some kids going through the effort of learning some basic Russian to be able to listen in on conversations in tournaments hallways in order to determine if people are talking about their game in progress. At the 1976 World Open where a young man, who shall go nameless, played down using the identity of a weaker buddy. As he was mowing his opponents down Gerome Bono realized what was going on. Director Bill Goichberg had a talk with the boy who disappeared before the end of the tournament. One time at the BCC I saw a player knock his king over in a time scramble and place his king on a safer square, essentially getting two moves in a row, in a way that looked pretty intentional to me. Fortunately his opponent caught it. A master, who has been inactive for some time, told me he experienced someone messing with his chess clock while he had stepped away from the board. And as a player and director the most common situation I have witnessed are the many stories of people vehemently denying they touched a piece, when in fact they had. Several years back we had people contend that parents were sending signals to their kids during the game; thus grew "The no parent hovering" rule at the BCF. I would say that very good thing that 99% of chess players are sportsmen and don't cheat. Because if people worked at it, they could get away with a great deal; to the overall detriment of the game. If people want to participate in some disingenuous behavior let them sell aluminum siding or get into professional wrestling instead of playing OTB. Internet Chess has its methods to stop cheating. Early on I wondered could computer geeks working on maximizing their chess skills, by harnessing a computer to play their opponent, get away with cheating? That infamous "the mystery opponent that had to be Bobby Fischer" vs. Nigel Short 1. f3. 2.Kf2 game comes to mind. On Jan 1 2007 at the BCF Herb Healy, Larry Christiansen explained to us how now computers track for cheating on the ICC and assess the "computer-ness/human-ness" of the moves in an Internet Chess Club tournament where you will be disqualified if you play too much like a computer. The first recorded computer chess cheating happened at MIT in the early 60's, probably on an April first; as told by Steven Levy, author of Hackers: Heroes of the Computer Revolution. Long before Richard Greenblatt had written the code for MacHack; some MIT students gleefully and independently went to AI super-professor John McCarthy and another professor stating that they had a phenomenal breakthrough in chess algorithms and they should come to the lab immediately to see their discovery. "Uncle" McCarthy and the professor were led to separate rooms, where one was placed in front of TX-0 the other in front of PDP-1 and asked to enter chess moves. Unknown to them their computers were connected to each other by a single wire and they were playing each other!? What is your feeling about cheating in chess? Do you have any interesting stories? I've just checked out our links and updated them. Only a few of the links were no longer working, and I got rid of those. Amazingly, most of the links have been active within the past month, so the list has remained pretty stable now. As for adding new blog links, if our community has some suggestions for sites that we should be linking to, please let us know. Bill Buckner & Ben Landy - All is forgiven. and I summarily beat the machine so easily we had a good laugh and we lost interest in a few minutes, our first experience playing against a computer left us unimpressed. 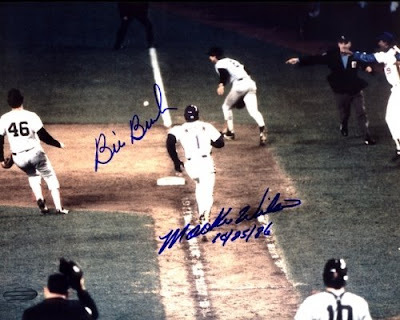 There was a time when Red Sox player Bill Buckner walked into a room people would whisper behind his back: "There's Bill Buckner the man who let the ground ball through his legs and lost the World Series for the Red Sox." Bill found solace by moving to Idaho and living on a hugh farm isolated as far away from Sox fans as possible. 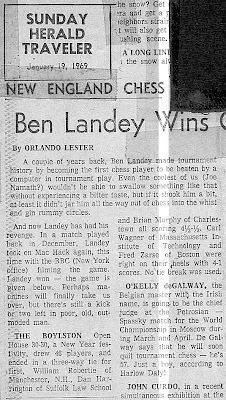 The first time I saw Ben Landy people were doing a similar thing; Ben being the first human to lose a chess game in a tournament in 1967 to Richard Greenblatt's MacHack VI computer of MIT, the machine having a rating of 1529: " There's Ben Landy who Bobby Fischer says is not fit for the human race." Legend has it, that was the ever beneficent Fischer response when he heard Landy had been defeated by a computer. Over the years I got to admire Ben Landy and his contributions to chess the recognition of which most people today id his name as associated with the phase 2 of the BCF Championship known as the Rubens/Landy tournament. In fact it's very difficult to find his name associated with this first computer chess loss, which shows how Boston chess protected one of their beloved. We didn't know at that time that even the greatest chess player of all time, Gary Kasparov, would also lose to a computer and the Red Sox would wipe out the Curse of the Bambino by winning the World Series twice. I wouldn't bring any of this up except I think that our earlier attitudes about both these gentlemen, when compared to our feelings now, teach us a valuable lesson about the hurtfulness that people can have about human failings that any one of us could and do have. Over time such outrage seems petty. We should not be so quick to condemn; good and bad fortune happens to those who compete. Warriors understand that one must be ready to lose, in order to win. I'm glad we are all at a better place, Bill Buckner, Ben Landy, you are forgiven. BTW If you are into computer history I would highly recommend you read the book Hackers: Heroes of the Computer Revolution by Steven Levy. The term Hackers was first used by MIT students to describe those who worked in the model railroad club that happened to have a computer in the hall outside the club. This computer attracted attention of those waiting in line to get time to work on their trains. Students began "hacking" the computer and it lead to wondrous things in the artificial intelligence arena. Greenblatt came from this environment. What was your first experience with computer chess? How do you feel today about Bill Buckner or Ben Landy? I have long enjoyed the convenience of using PDA chess programs as electronic boards for analysis, but software wasn't always written to "understand" en passant. But I also think about this 1985 game, in which I had black against good old N.N. (boy, that player really gets around!). A couple of months earlier, in my first ever tournament, I had gone 4-0 in the bottom section (I was B. Scott Anderson's mysterious 4th round opponent from a semi-recent Chess Horizons story) . Just out of the gate in round 1, my hopes for another such successful tournament were already looking washed up. I had just played 38...Rf5-f6, and was glumly waiting for my 1540-rated opponent to take all my queenside pawns. 23 years ago, they didn't make chess players who understood en passant, either! As a player who is often short of time at the first time control, I've always been a bit peeved by the arrangement in which, if using a clock with time-delay (or perhaps more commonly, a clock with time-increment, but I'll generally use time-delay to refer to both here) giving each player +5 seconds for each move made (by the respective player), the initial time allotment for the first time control is reduced by 5 minutes. For example, if the first time control is 40 moves in 2 hours (and the next and final time control is G/60), players using clocks without time-delay would initially set their clocks to give each player a full 2 hours, but players using a time-delay clock would initially set their clocks to give each player only 1 hour and 55 minutes for the first 40 moves. At the end of 40 moves, a player using such a time-delay clock would have earned ("back") an additional 3 minutes and 20 seconds (40 moves x 5 = 200 seconds), but would still have had slightly less time to make the first time control. In the above example, only if your game exceeds 60 moves would the time-delay actually give you more average time per move. If your game ends after fewer than 60 moves, as the majority of mine (and yours, I suspect) do, you'd actually get less average time per move if you use a clock with time-delay than if you use a clock without it. For a reasonably slow first time control, if faced with the 5 minute reduction of initial time allotment for time-delay clocks, it would seem more often advantageous to use a clock without time-delay, at least with respect to the average time you get per move for the first time control, which is often the decisive time control. Tournament directors might impose the 5 minute reduction to ease scheduling of subsequent rounds happening on the same day. A few years back, I was told that the Mass(achusetts) Open used the 5 minute reduction because Bill Goichberg uses it in his large tournaments; given the prominence of Goichberg's tournaments, it seems perfectly normal that others would follow his lead. Even in the days before time-delay clocks, my recollection is that it was pretty common for the 2nd of 2 rounds for a day to be delayed beyond its announced starting time, although back then automatic pairing programs to speed up directing tasks weren't available. If 2nd (or later) rounds of a day typically start punctually these days, I wonder how frequently that might be attributed to the 5 minute reduction. I managed to restrain myself from playing 14 Qxc5? 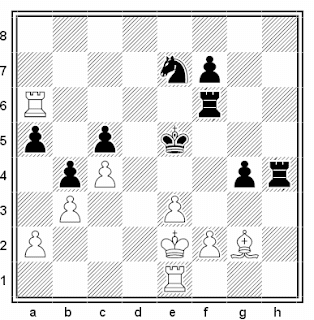 ?, which would have been convincingly answered by 14...Nxe2 mate. After 14 Qd1 fxg5 15 Bxg5, I was up a queen and a pawn for two active minor pieces. With my king repeatedly shuttling between e2 and f1, and his king similarly shuttling between a6 and b7, I offered a draw, which was of course accepted. Perhaps if we had not been using a time-delay clock I could have claimed a draw through the director due to "insufficient losing chances". However, with a time-delay clock there would presumably be no need to call for the director. Other factors might affect whether you are likely to benefit from using a time-delay clock in any given game, including how fast of a player you and your opponent are, the different time controls for the game, the sharpness of the variation you land in, whether you got confused about the round's starting time and arrive almost one hour late for the start of your game (yah, you're welcome for that so many years ago, Harold Dondis ;-) ), etc. Nowadays, I generally only play in club events that have 1 game per day, where the 5 minute reduction is typically not (or never?) imposed for time-delay clocks. 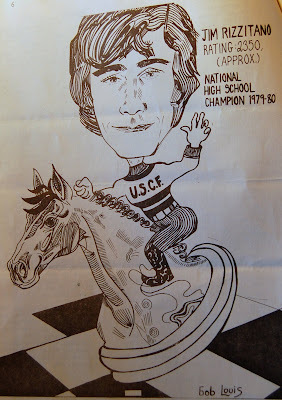 Thanks to Bob Oresick, I recently learned that my Bronstein time-delay clock is acceptable for USCF tournament games. For some time I had been under the mistaken impression that only Fischer time-increment clocks were acceptable, but maybe later I'll write about the adjournment play-off which led to my confusion, which happened to include an interesting endgame (yeah, I might get around to analyzing that thoroughly in a decade or two). Hnefatafl, an ancient Viking board game, revived. Enthusiasts in the Shetland Islands are staging the first world championship of an ancient Viking board game. 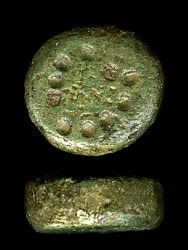 Hnefatafl was popular in northern Europe for hundreds of years until it was eclipsed by the rise of chess. The game simulates a Viking raid, with the king and his defenders trying to escape a larger force. 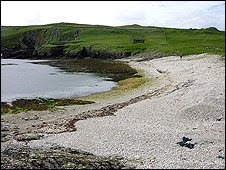 The contest between a dozen players, on the island of Fetlar, will be played on wooden boards with 121 squares and the king starting in the middle. Hnefatafl is a game with a pedigree stretching back 1,000 years. It was taken to Shetland by the Vikings and there were references to Welsh and Irish versions in the Norse adventure stories known as sagas. The game was popular because - like chess - it was a warlike contest. There will be no medals in the competition on Fetlar but the winner will receive a board, a set and the title Hnefatafl Grand Master. The games will be followed from as far afield as Texas and New York, where new players have been learning online. Hnefatafl, or 'Viking Chess' as it is sometimes known nowadays, and its many variants were usually played on wooden boards, some of which have survived to this day in varying states of repair1. However, any flat surface would do and simple playing areas could no doubt be scratched out on table tops or flat rocks with a knife. 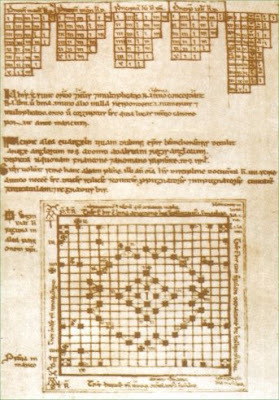 The game board consists of a square area divided into rows and columns - variants from 7x7 to 19x19 have been excavated. The central square and the four corner squares, which are special places in the game, are usually decorated, while the remainder of the squares are unadorned. The game is for two players. One takes charge of a large force of pieces - or soldiers - known as the 'attackers', who start at the edges of the board. 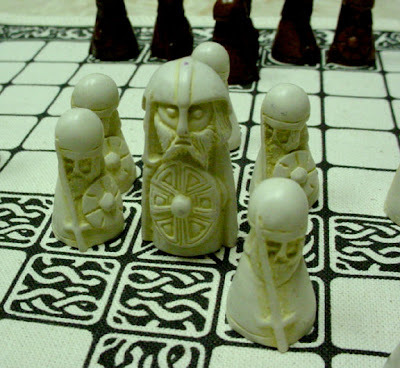 The other player controls a much smaller force of bodyguards called the 'defenders', who start in the centre of the board and are led by a special large piece representing their king. to try to escape from his central 'throne', which is the middle square, to any of the four corner squares. If he succeeds, the game is over and he wins. 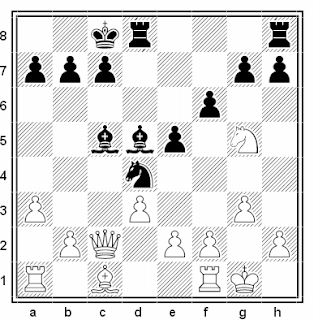 If the player in charge of the attackers manages to surround the king and make him unable to move, he is declared the winner instead. The unevenness of sides is quite an unusual feature to find in a board game, as is the fact that the two players have different objectives. Both features add greatly to its charm. The rules have been worked out and guessed at from historical sources and there is no real consensus on a definitive set. There were probably very many local variations and 'house rules'. Players take alternate turns and it doesn't seem to matter much who goes first. All pieces use the Rook's move from chess - ie, they can move horizontally or vertically, but not diagonally, any number of spaces. No jumping of other pieces or sharing of spaces on the board is allowed. The king is the only piece who is allowed to rest on the central throne square, although other players can pass through it when it is unoccupied. 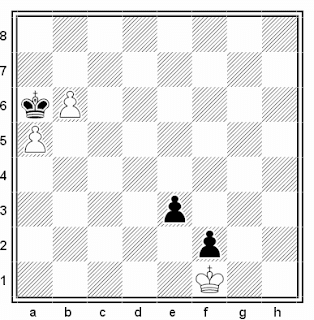 The king is the only piece allowed onto the four corner squares, at which point the game ends. The technique for taking pieces is unlike that found in any other contemporary board game. 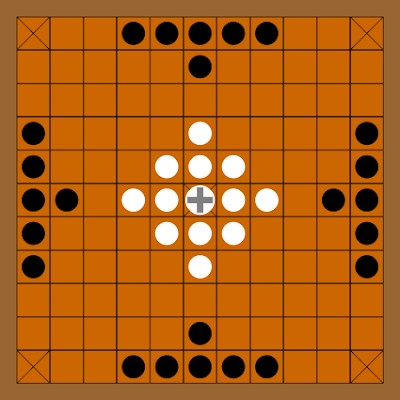 In all 'tafl' games, a piece is captured and removed from the board if the opponent manages to get two of his soldiers on opposite sides of it, from side to side or from top to bottom. Note, however, that a soldier is safe if he deliberately sneaks into an existing gap between two of his opponents. The king is much harder to overpower and must be surrounded on all four sides. The throne square and the four corner squares count as an opposing piece during an attack so it is not wise to stand right beside them. The player in charge of the defenders will find that his own soldiers tend to get in the way early on in the game and hinder the king's movements. He may wish to sacrifice a few soldiers to give the king a bit of mobility. The attacker may wish to build a wall of soldiers across each of the four corners to block the exit routes for the king. Quick action is needed to achieve this. After a game, the two players would probably swap sides, perhaps keeping a tally of how many pieces of their opponents they had managed to capture during the battle, to settle any tied series of games. Perhaps derived from an earlier Roman game known as Ludus Latrunculorum, which used a similar method for capturing pieces, Hnefatafl was played as early as 400 AD in Scandinavian countries and was taken to the lands in which the Scandinavians settled in later periods. It is mentioned many times in the Sagas and poems of old Norse literature. The Scots knew it as 'Ard-Ri' and the Irish preferred the names 'Brandubh' and 'Fitchneall'. Both peoples tended to use 7x7 boards. The Welsh called it 'Tawlbyund' and generally preferred 11x11 playing areas, while the Anglo Saxons were keen on a 19x19 board and called the game 'Alea Evangelii'. 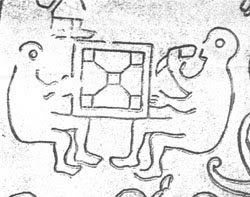 The Norse Hnefetafl was played on 11x11 or 13x13 boards. The Finns used a 9x9 board and called their game 'Tablut'. Carl von Linne, the Swedish botanist, documented the Saami people of Lapland as playing a version of Tablut as late as 1732. These people called the defenders 'Swedes' and the attackers 'Muscovites'. Perhaps this recalls episodes when Norsemen, who had set up fortifications along the Baltic coast and inland areas, were besieged by forces from Russian principalities who were keen to get rid of the newcomers. Gaming pieces made of glass, antler, walrus bone, ivory, amber, horse teeth and clay have been found at archaeological sites from Ireland to Ukraine, although wood must certainly have also been used. Sometime around the 11th century, when the more complex game of chess began to be be played in these regions, Hnefatafl declined in popularity. Here is an 11x11 arrangement found in a popular modern version of the game. Hnefatafl Found in the Norwegian town of Trondheim, this 'Hnefatafl' board with 11 x 11 squares is displayed at the Medieval Museum at the University of Trondheim (NTNU). An online version of Tablut is available for Netscape only, although it uses slightly different rules to those given above. 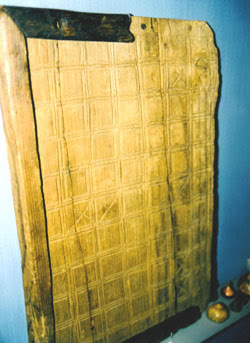 1 On the reverse of some Hnefatafl boards there are Nine Men's Morris boards. Tony Cortizas, himself a New England Master chess photographer, visited the New England Masters tournament in Pawtucket at the To Kalon Club. Dave Glickman began reporting the BCF championship four years ago by creating the BCF blog and it evolved into a wonderful collection of articles and collections of all things chess. Dave's background and perspective of things, along with a fantastic sense of humor, made for something very special. The blog became a very fantastic place for those who love the game and the things chess affect. 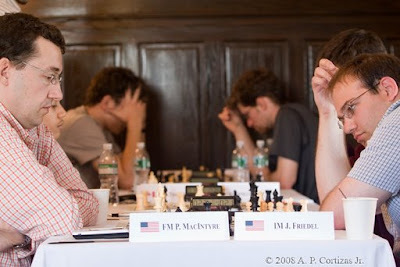 Dave playing GM Larry Christiansen at the annual BCC Herb Healy in 2006. Last winter at the BCF Board of Director's meeting Dave announced that he no longer had the time to contribute to blog. Dave asked for volunteers to step up and keep the blog going. Jason Rihel and Bob Oresick felt they could do something, and have contributed greatly. I got involved when Bob, Jason, and I "fooled around' with the Isle of Lewis Chess Set blog articles. 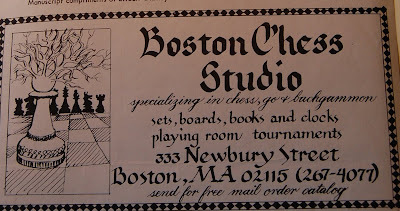 Having several ideas about the old Boylston Chess Club and other things popping into my head, I decided to give it a go and write a few essays. I will admit that there has been an interesting, difficult to describe, beneficial personal side effect in attempting to turn something out every week. And as you have seen many additional people have contributed over this year as well. But we are not Dave Glickman and he is sorely missed. Who knows - maybe he will return after his sabbatical? Dave has stated that he has at least a year of personal commitment to work through. In his absence I ask that more members of the BCF step up and try it. It was nice to hear that some members might do some real time broadcasting, if possible. Perhaps we could get some of the folks participating in the BCF Championship finals to report, or to agree with each other, to write about their favorite/interesting game in the tourney. The opportunity for others to try is here. Dave was special but Dave's not here, man. What did you enjoy most about DG? What do you think it would take to get Dave back? BCF members: can you help and step up and fill DG's void? Charles Riordan won the 15th annual Charles Drafts Open. Walter Driscoll began sponsoring the tournament to get his friend Charles Drafts some events to play in as he was not very mobile. Lawyer Times, Ben Goldberg, and Genesis Lung tied for 2nd/3rd. In the U1900 section, Walter won and Darwin Ding finished 2nd. Benedict Smail, Ryan Ottaviano, and Harold Dondis all tied for 3rd. Stop by Fitchburg Access Television on Monday evenings and you will see the world in black and white. In a lighted studio, cameras move in on a set decked with comfy-looking arm chairs, checkered mats, a surreal chess print, and a chess board. 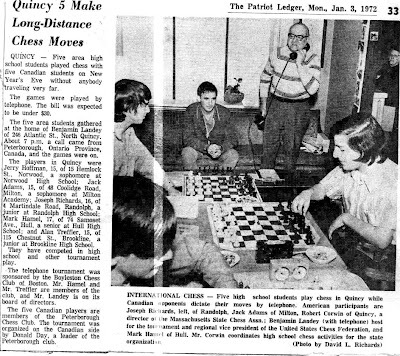 George Mirijanian of Fitchburg – a long-time fixture on the area’s chess scene – and champion player Martin Laine of Lunenburg, greet viewers amiably, and spend a few minutes talking about a great figure in chess history, or a great moment in chess history. Then, they get down to it – a nail biting game, which they walk the viewer through, but with the same grit as if the game were being played for the first time. The game is in fact, a classic; chess games can be entirely improvisational, but devotees of chess know that they can also be recorded, preserved and replayed by generations – much like a revered symphony. It might not be a Hollywood square, but each episode of “Chess Chat,” the local access show about all things, people and places chess, is garnering a following beyond the cable subscriber base in Fitchburg with a Web cast that draws in chess fans from all over New England and beyond. 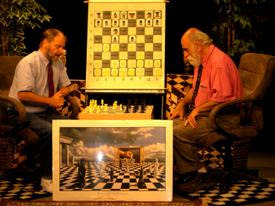 Mirijanian – among other things, a certified chess tournament director, chronicler of chess and program director of the Wachusett Chess Club at Fitchburg State College – said the show launched about two years ago and credits the encouragement of his niece, artists and events promoter Sally Cragin. She even supplied the show’s first guest, her three-year-old son, Christopher Cragin-Warner. The show is also seen on Bellingham-Mendon’s local access television programming. Mirijanian said the show tries to draw in laypeople as well as seasoned chess players, noting celebrities such as the late Ray Charles and his friend, Willie Nelson, known for their love of chess. If there’s a sport of kings, perhaps chess is the game of presidents: Thomas Jefferson played, as does former President Bill Clinton. Tyler Knapp, program director at FATV, said, it’s impossible to determine how many viewers actually tune into the show, although he said Fitchburg has about 11,000 cable subscribers who can tune into FATV program offerings. Knapp said the Web cast gets a healthy number of hits, saying that one recent episode got more than 500. Margaret Smith is Arts and Calendar editor of Community Newspaper Company’s Northwest unit. E-mail here at msmith@cnc.com. The game of life can be played on a board that contains 64 squares and holds 32 pieces. So say George Mirijanian and Martin Laine of the Wachusett Chess Club’s “Chess Chat” television program. “Chess Chat” is produced at the studios of Fitchburg Access Television by the members of the Wachusett Chess Club. It airs on local cable; however, several of the episodes have been posted on FATV’s Web site and can be viewed online at the FATV on-demand video section. The show has gained some notice, and was mentioned on a blog by grandmaster Susan Polgar who, among her many achievements, has won four world championships and is a five-time Olympic champion. As Mr. Mirijanian is the program director of the Wachusett Chess Club and is a certified by the United States Chess Federation as a tournament director and Mr. Laine is club champion, the co-hosting responsibilities fell to them. Both men have been involved in chess for many years. Mr. Mirijanian traces his interest in chess back to the 1950s; Mr. Laine, to the 1970s. “At first we did programs about the game itself, such as what the pieces are, how they are moved, those types of things,” Mr. Mirijanian said. 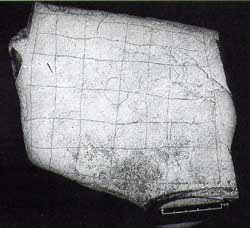 In those early productions, a camera was used overheard to shoot the game board. “And the overhead shot really didn’t work, because everything was flattened out; the pieces were indistinguishable,” Mr. Mirijanian said. 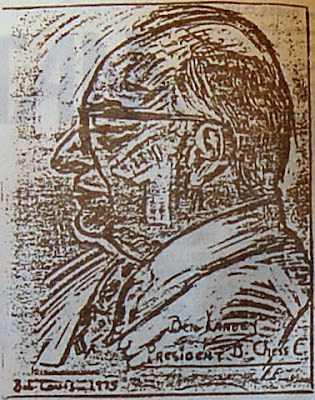 A stationary camera was set up that shoots over the shoulder of Mr. Laine for a shot of the play on the board. That proved to work out well, as it provided definition to the pieces. Other technical glitches were addressed, and as they produced more shows, the co-hosts said, they worked on refining the format of the show. “I think we’ve finally found the format that works for us,” Mr. Mirijanian said. At the beginning of the half-hour show, a topic is introduced and there is a brief discussion. Following that, a match is replayed with commentary by Mr. Laine and Mr. Mirijanian. Mr. Mirijanian said he looks for games that are more tactical in nature. “Something that is in the range of 25 to 30 moves,” he said, “because we only have a half-hour show and time is very important.” Mr. Mirijanian said he has a “cheat sheet” next to him, while Mr. Laine commits the game to memory. As the moves are made on the board, a chess notation graphic is placed over the shot that describes the move. As the match progresses, each men add commentary about the moves. Both men said they hoped there would be a resurgence in interest in chess in this country. “During the time of Bobby Fischer, many people were interested in chess because of Bobby Fischer; just the strength of his personality,” Mr. Mirijanian noted. The eccentric Fischer (1943–2008) was an American-born chess grandmaster and the 11th world champion. He became famous as a child prodigy. In 1972, he became the only American to win the official World Chess Championship when he defeated Soviet grandmaster Boris Spassky. Because of the Cold War and the players’ countries of origin, the match drew intense international attention. 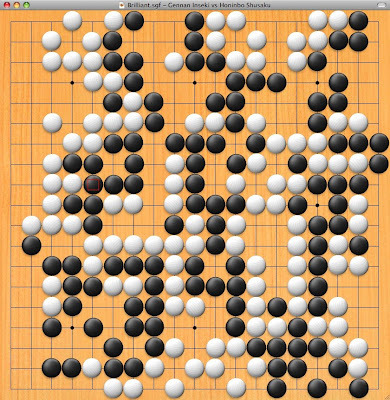 "I was in attendance at the US Go Congress match yesterday where history was made: the go program MoGo, running on an 800-core supercomputer, beat 8-dan professional go player Myungwan Kim in a 9-stone handicap game. Most in the audience were shocked at the computer's performance; it was naturally assumed that the computer would be slaughtered, as usual. Go is often seen as the last bastion of human superiority over computers in the domain of board games. But if Moore's law continues to hold up, today's result suggests that the days of human superiority may be numbered." Read below for more details in Bob's account of the match. 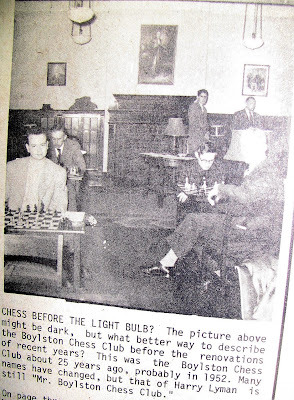 The venerable Irving Yaffee relates a story about the origins of chess occurring when the king of India wanted to replace war with an activity that would distract and consume men's minds. One of his wise men invented this war game and legend states in payment he simply asked for some rice: beginning with one grain on the first day and then a daily doubling of grains for each of the 64 squares. The exponentially growing amount of grains grows to 1.84 to the power of 1019 grains of rice (18 million trillion grains). When the king had some of his other wisemen figure out the cost, he had the inventor of chess put to death. Creating the business rule: make sure you arrange your payment schedule in such a way you will have time to collect. Then there is the story about the revolutionary war in Delaware (December 25, 1776) commanding British Hessian General Rahl in Trenton being so engrossed in a chess game that he stuffed unopened into his pocket the message warning that Washington and his men were approaching. Legend has it that after the battle they found the note on this general's body still unopened . It's nice to know that chess played an important part in our Revolutionary war. Another favorite story of mine about chess and war; is about the WWII code breakers of Bletchley Park who developed the computers and system to intercept and break the German codes. C. H. O. D. Alexander, British Chess Champion, was one of a collection of polymaths whose brainpower was harnessed by the UK in its battle of Britain. Usually the military doesn't play to people's strengths, but in this case fortunately Britain had. I think in the current Era of the Geek there is an opportunity for a way cool WWII movie, something in the tone of The Dirty Dozen: The Nerdy Dozen (? perhaps). So as you can see in both myth, math and reality chess has played an important role. Do you have any other stories either legendary or historical that show how chess and war sometimes interact? Have you been so engrossed in a game that you over looked something you shouldn't have? to be a winning chess master one must play with determination and porpoise. Simon Warfield (4 of 5) won the 2008 Reubens Landey BCC U2200 championship and will be invited to play in the club championship in the fall. Ben Goldberg tied for 2nd with 3.5 points, after suffering a tough 5th round loss to Simon. Carey Theil also had 3.5 points after defeating Julian Chan in the last round. $400 Guaranteed: 100-50-50 in both sections. EF: $25, $15 to BCF members if received by 8/7; $5 more at door.